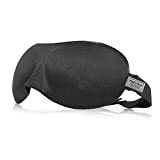 • This 3D Sleeping Eye Mask uses soft and light-weight fabric is very comfortable and breathable.Superb light blocking, works well even if you sleep on your side, eliminates morning light giving you a deep, refreshing sleepA simple, all-in-one, one-size-fits-all product. Hypoallergenic and hand washable with adjustable elastic strap.Moulded design premium product. Does not press against your eyes. You can open your eyes while wearing the mask.The eye pouch gives you the feeling you are in a dark room for restful sleep. The nose area is covered well with no light leaking and you can breath freely. With our 3D eye sleeping mask you will sleep better and wake refreshed. This entry was posted in Buy Supplements and tagged Blinder, Mask, Relax, sleep, Sleeping by TOSMS. Bookmark the permalink.